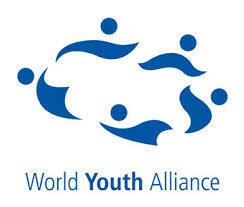 The World Youth Alliance is a global coalition of young people committed to promoting the dignity of the person and building solidarity among youth from developed and developing nations is inivting applications from young people for its Africa Emerging Leaders Conference. The Africa Emerging Leaders Conference – AELC is an annual World Youth Alliance event that brings together youth from across Africa to interact with leaders and policy makers on current global issues through lectures and discussions. In addition, a rich display of culture is enjoyed through the sessions at the conferenceThis year’s theme will focus on the “Economic Development and the Family” The role youth play which resonates with the UN Global focus on the family this being the 20th Anniversary of the International year of the family. It will enable youth to engage ideas that are of importance to young people on the rising continent of Africa. This will help us to understand how we can contribute to a better Africa and it turn a better world in solidarity as the Emerging Leaders on the Africa continent! The 5th Africa ELC will take place on Thursday 9th and Friday 10th October 2014. The two-day event will take place at Strathmore University Auditorium, in Nairobi, Kenya. All interesetd applicants must fill out their details through the application form here as below before the September 30th 2014deadline. You will ne notified via email or call if you have been accepted for the conference. All applications forms can be sent via email to africa@wya.net or through postal address: World Youth Alliance Africa, P.O.Box 24021 – 00100, Nairobi Kenya. Download: Africa ELC Application Form. Posted on August 5, 2014, in Africa, Career, Policy, Social Entrepreneurship and tagged Africa, Africa continent, “Economic Development and the Family” The role youth play, Call for Applications: World Youth Alliance's Africa Emerging Leaders Conference, Conference, Emerging Leaders, Leaders Conference, The Africa Emerging Leaders Conference – AELC, World Youth Alliance. Bookmark the permalink. Leave a comment.